Jeffrey Israel released a book yesterday on the interplay between resentment and popular culture. PHOTO COURTESY OF WILLIAMS COLLEGE. 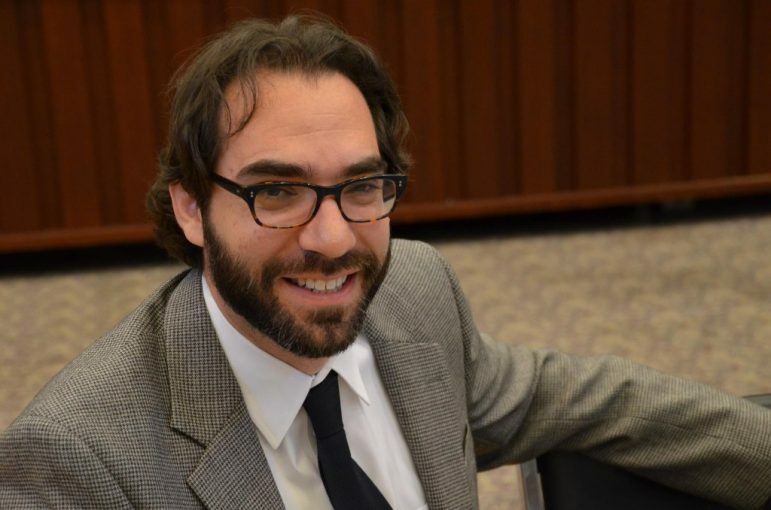 Jeffrey Israel, assistant professor of religion and Jewish studies, does not believe that in an ideal future America, the “nasty” parts of society will simply disappear. Instead, he imagines these grotesque elements finding their place within what he refers to as a “domain of play.” Israel entrusts play, a realm that includes comedy and sit-com television, with the power to help society deal with omnipresent resentment. He lays out this argument in his new book, Living with Hate in American Politics and Religion: How Popular Culture Can Defuse Intractable Differences, released yesterday. Living with Hate in American Politics and Religion provides an alternative to the idea that “people will basically reform their former nasty attitudes and come to a kind of sense of brotherhood and sisterhood or a sense of political love, which has abandoned all of its grudges and resentment.” According to Israel, this vision is neither realistic nor ideal. “You don’t invite people genuinely into a society where they can flourish if you say you have to check all your historical resentment at the door,” he explained. Rather, Israel argues that these historical resentments can have a productive role in society through play, including popular culture, such as comedy and performance. “We need to learn how to shift this nasty stuff away from being baked into laws and policies and into the expressive life of a very specific realm where no claims are made,” he said. Israel recognizes, however, that the ability to play with one’s resentments requires a larger sense of safety in society. “Only when people feel truly secure, truly seen with compassion and care by their political institution, can we expect them to be able to endure a really perverse and wild domain of play,” he said. Living with Hate in American Politics and Religion uses Jewish American history and culture, one of Israel’s areas of research, as a case study for his argument. “Particularly after World War II, Jews were more secure than they had ever been, and in this context they produced the most aggressive, perverse, provocative humor and cultural production than they had ever produced,” Israel said. He points to the work of comedian Lenny Bruce, author Philip Roth, poet Allen Ginsberg and other famous American Jews as examples of productive play. By using Jewish American pop culture as an example, Living with Hate in American Politics and Religion addresses a dual audience: Jews specifically and Americans at large. “The book will have particular things to say to Jewish Americans thinking through their own liberal commitments, and their own Jewishness, in the context of twenty-first century America,” Israel noted. Yet, more generally, Israel’s book also seeks to “develop liberal political thought” for the sake of America’s future. Creating this imagined future would involve both improving the political reality and fostering a domain of play. “Simultaneously, we need to make sure that there is time and space for people to play with the legacies of historical oppression, and at the very same time, create laws and policies that make every person that lives within this country feel a deep respect and compassion from its institutions so that kind of playing can be tolerable,” Israel said. Despite its focus on lasting resentments and underlying oppression in society, Israel explained that Living with Hate in American Politics and Religion ultimately presents a positive image for the future. “The book is very much about what it would mean to live together in a way where each of us sees the good of every other as a part of our own good,” he said.